KSU, team of travel aficionados working together, with you, to turn your Kerala Vacation into a experience of a lifetime. Kochi / Cochin International Airport is the first Greenfield airport in India located at Kochi that operates completely on solar power. Cochin International Airport is a major international airport in India. It is also an important international air cargo center in the country. People use this airport to visit Kerala and travel to different places. Many domestic and international planes run from this airport. It locates at Kochi which is the business and industrial center of Kerala. This is the first airport in India that works fully on solar energy. 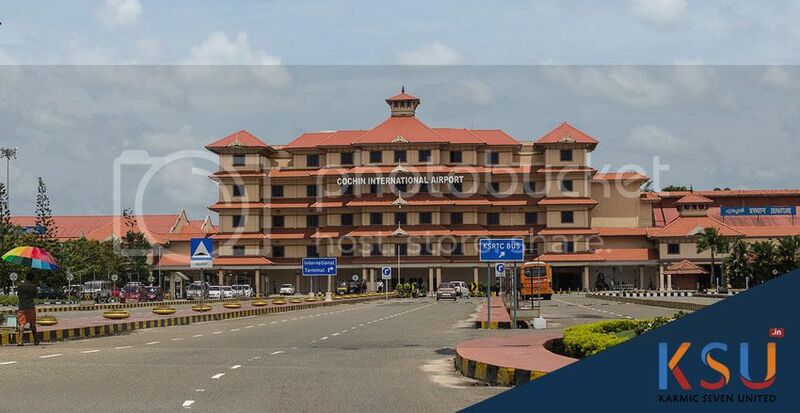 The domestic airport of Kochi International Airport has 1,20,000 sq. ft area. It has the capacity to handle around 400 incoming and 400 outgoing travelers. The International airport has 478000 sq. ft. area. There are separate entry areas for incoming and outgoing passengers at this airport. It has the capacity to handle 1200 incoming and 1200 outgoing passengers. The air cargo center of Cochin International Airport has all the modern facilities. It is an international air cargo center with more than 1,00,000 sq. ft. storehouse and office space. Many cargo companies are there at this airport. Almost 80 planes carry cargo from this airport to different places daily. Kochi International Airport offers many facilities. This airport has 14 guestrooms. Travelers can use them to stay. The airport also has a child care room. There is a large parking area. Visitors can keep their vehicles at this area of the airport. This airport offers many shops and book stalls. People love to buys books and other items from them. There are computers at the check-in counters. So, passengers can enjoy best services. Cochin International Airport has best display system to show the flight details. It also offers banking facility. 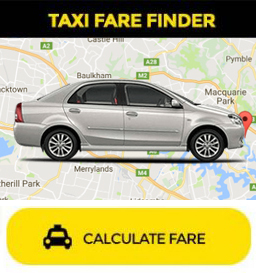 Travelers can hire taxi services at the airport but they need to pay the money first and then enjoy the service. This airport offers conference halls. Many business centers are also at Kochi International airport. There are many restaurants and coffee shops in this airport. They serve Indian, Chinese and continental dishes. People visit them to enjoy different types of cuisines. You can enjoy good shopping at Cochin International Airport. Travelers can buy many items at the duty-free shops at the airport. They sell handicrafts, fashion items, perfumes, wine and beer and electronic items. Try to enjoy shopping if you travel through this airport. Kochi is the business center of Kerala. You can see good development in this city. It also has many beautiful tourist attractions. Cochin International Airport is an important part of Kochi. KSU provide Kochi Airport Taxi, for tourism from Cochin International Airport. If you are looking to go around for an airport taxi cabs service, 1 day trip around Kochi or a weekend trip for places around Kerala or came to travel and explore Kerala, TamilNadu. We are the one-stop vehicle provider for all occasions and events. You can hire our Airport Taxi Kochi for pickup or drop at Cochin International Airport any time by calling us on (+91) 98460 89546 / (484) 2707183. You can also book online by visiting our website. Our Airport Taxi services are available 24/7. You can choose from Sedan, SUV, MUV, Tempo Traveller with A/c. Our vehicles are fitted with GPS tracking system for our passenger safety. All our drivers are experienced with minimum 5 years and well trained to handle passengers in a professional way. Share your travel experiences with our community. Let the world know! We are a team of travel aficionados working together, with you, to turn your Kerala Vacation into a experience of a lifetime.